S T Y L I S H . M: Overkill? Are these sorts of styles one step (or a few..) too far or just an expression of originality? 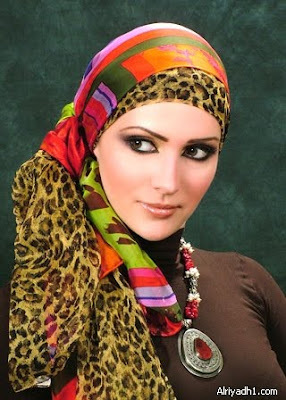 The scarves don't bother me, but there is far too much make-up. It's a little gross, actually. Even on a non-hijabi. The brown one in the middle is nice, but the other two are a bit much, especially the one at the top. Terrible... The first is the worst. The bottom two styles, less makeup. 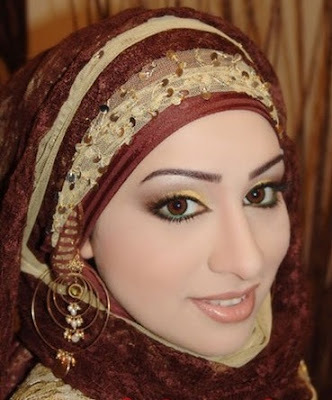 They are Omani styles the bottom ones, and soooooooo easy to to do.. Start to wrap scarf 1 like normal then put a second scarf on after a half of a wrap and then wrap the two together as if they were one, like braiding your hair but wrapping. Takes less than 2 minutes in the morning. Really easy, wallah.